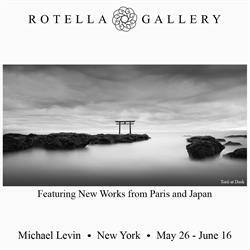 The Rotella Gallery will be hosting an opening reception for the exhibit on May 26th, 2016 from 6-8:00pm, with a meet and greet with photographer Michael Levin. 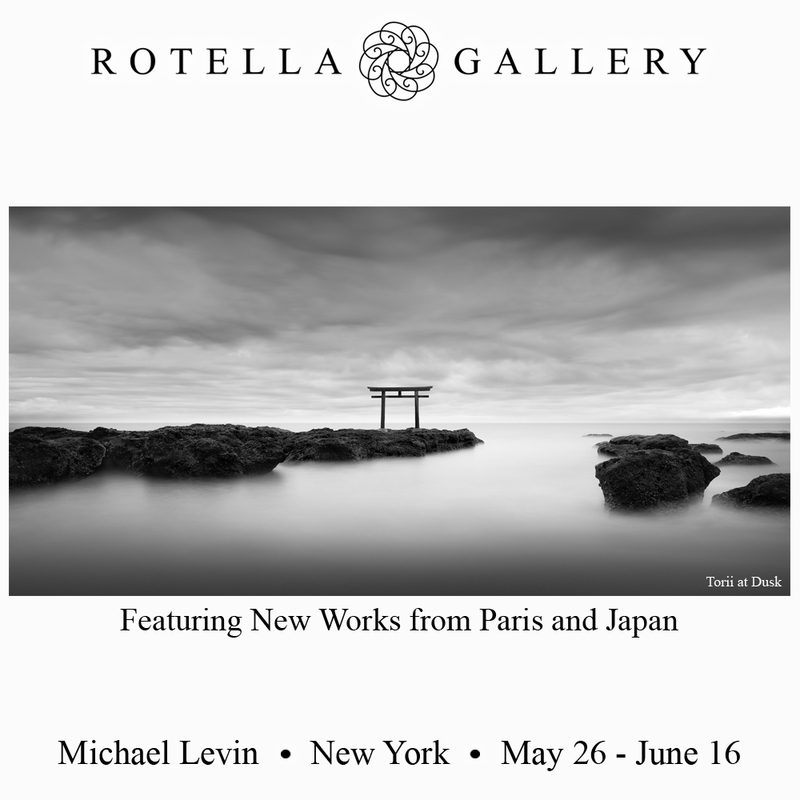 Michael Levin's solo exhibit will run from May 26th - June 14th, 2016 and can be visited freely. The location of the exhibit and opening reception will be held at the Rotella Gallery, 468 West Broadway, New York, NY. The exhibit is open to the public. We do ask, however, that you please RSVP for the reception by emailing rsvp.michaellevin@rotellagallery.com. Based in Vancouver, BC, Canada, Michael Levin has earned worldwide attention for his carefully calibrated black and white photographs. He's the recipient of numerous international photography awards including Nature Photographer of the Year at the 2006 International Photography Awards in New York City, and also 'Fine Art Photographer of the Year' award at the 2007 Prix de la Photographie in Paris. Using long exposures, Levin gives his monochromatic and color photographs a haunting, hazy quality cut by the solid, heavy lines of buildings, bridges, rock formations, and walls. Devoid of people, the images' sense of loneliness reveals a style and stillness over straightforward beauty. The lure in a Michael Levin photograph is simplicity, but its logic comes from a more complex awareness of space. What Levin does best is to find common objects and make them compelling as an image. Each scene suggests more expressive possibilities offering a bold dimension to his work. The photographs are less about knowing a place than discovering the self, allowing for the revelation to present itself naturally. In 2012, Robert Rotella opened the doors of the first Rotella Gallery at the Palazzo in Las Vegas, Nevada. With another Gallery in Soho, New York opening the following fall of 2013, Robert Rotella had a clear mission for what Rotella Gallery was going to represent. A photographer since youth, Rotella cultivated a passion for photography over a lifetime and craved to see it respected among the fine art community, he envisioned an art space strictly dedicated to the craft for photographers to share and sell their work. Rotella desired to showcase the artists he met in the field and, as a fellow photographer, to give them the freedom that other galleries did not necessarily provide. The gallery would focus on limited edition, collectible works and over the years has developed to manage most of the production and framing of each piece giving the artists creative liberties over their collections. If you require further assistance please email or call the contacts below.